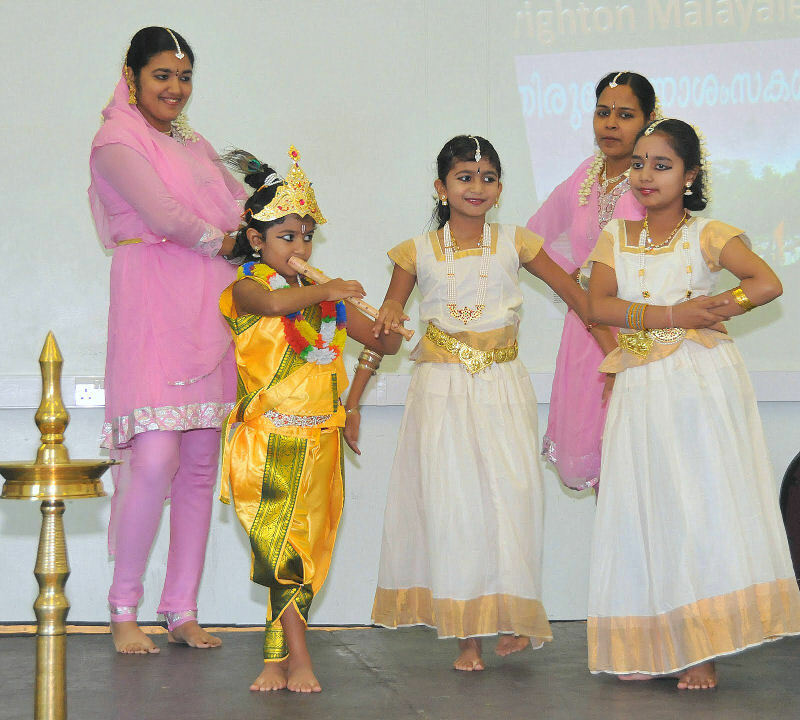 The Brighton Malayalee Association was formed in April with the purpose of promoting and celebrating the rich heritage of Kerala, and to establish a forum to provide an opportunity for our members to meet and exchange views and to foster goodwill and friendship with other communities in and around Brighton & Hove. 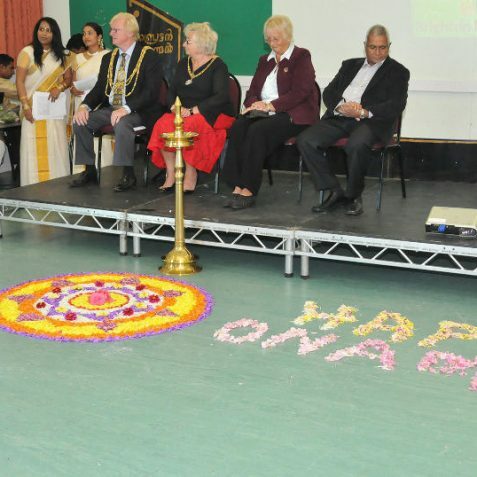 As part of the Association’s commitment to its mission, Onam was celebrated on August 28th. 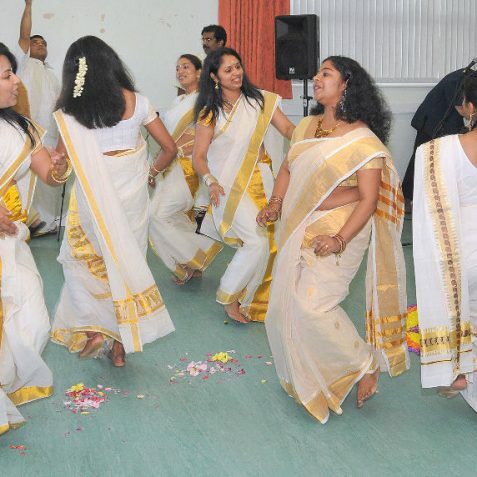 Onam is the harvest festival of Kerala. 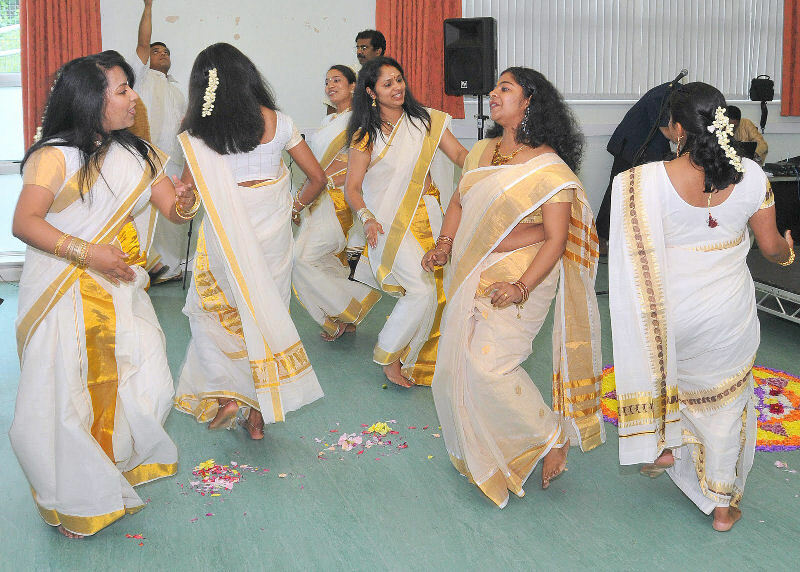 The rich cultural heritage and tradition of Kerala comes out in its best form and spirit during this ten day long festival. 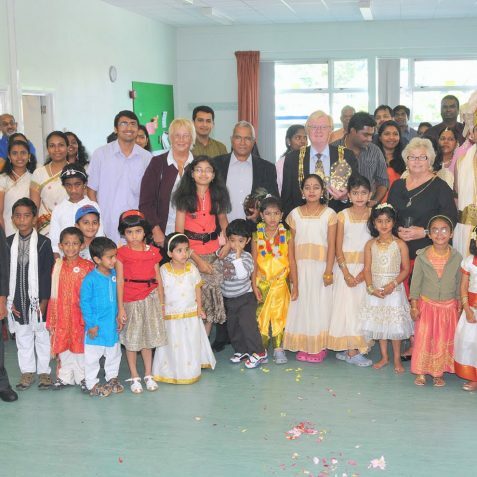 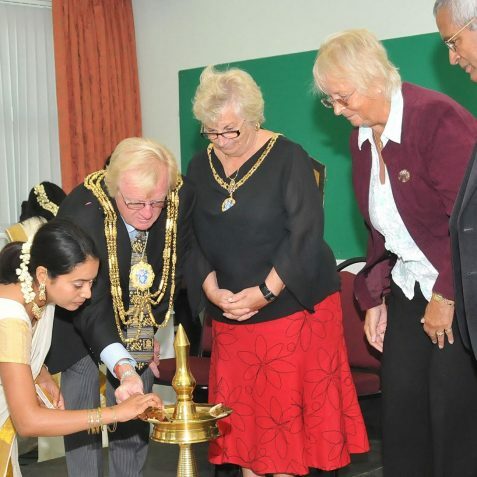 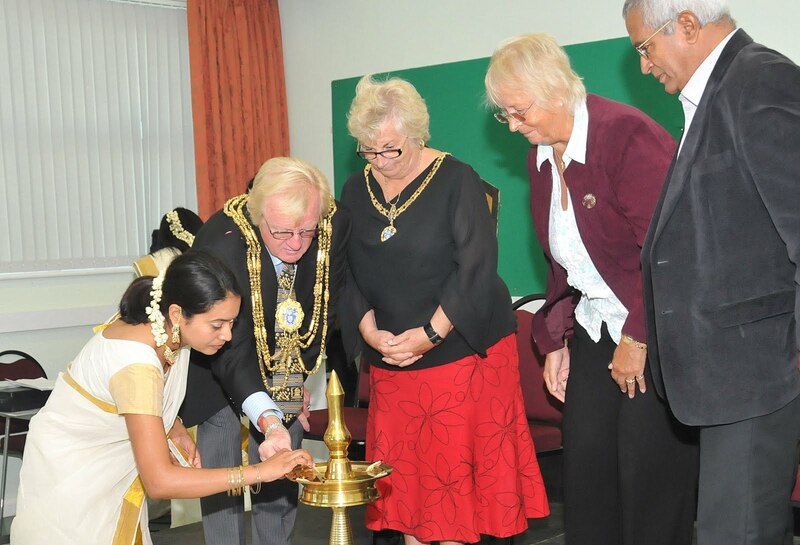 The celebrations were inaugurated by The Mayor of Brighton & Hove, Councillor Geoff Wells, Mayoress Mrs Sally Wells, Deputy Leader of the Liberal Democrats in the House of Lords, Lord Dholakia OBE and Lady Ann Dholakia. 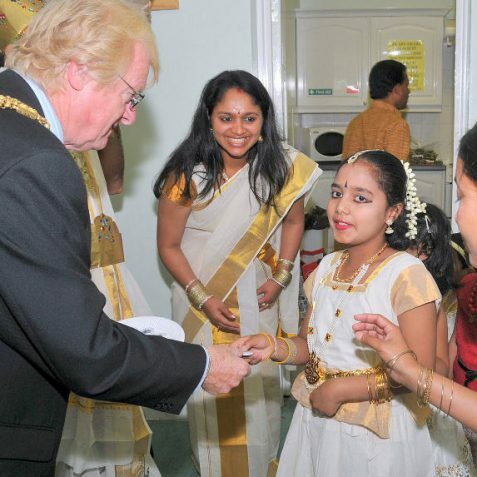 One of the members of the Association also joined the occassion dressed up as King Mahabali, whose annual visit is celebrated as Onam by Keralites around the world. 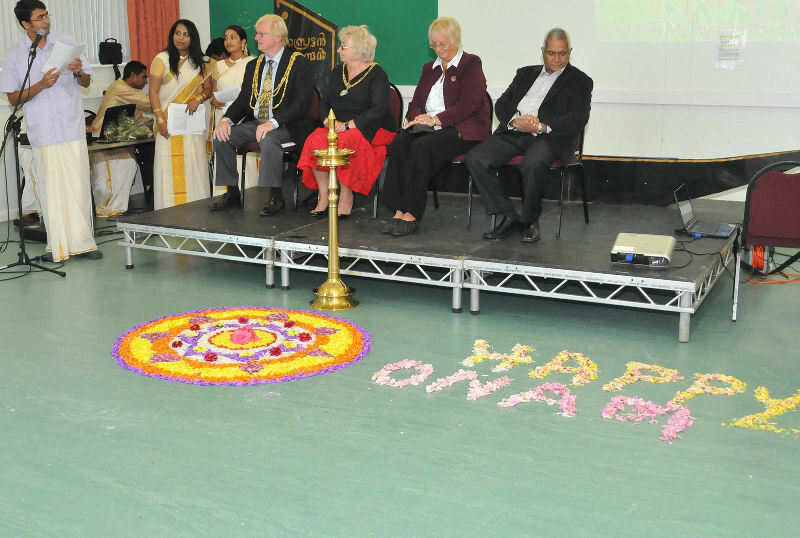 The fun filled day saw members prepare intricate flower carpets (Athapoo). 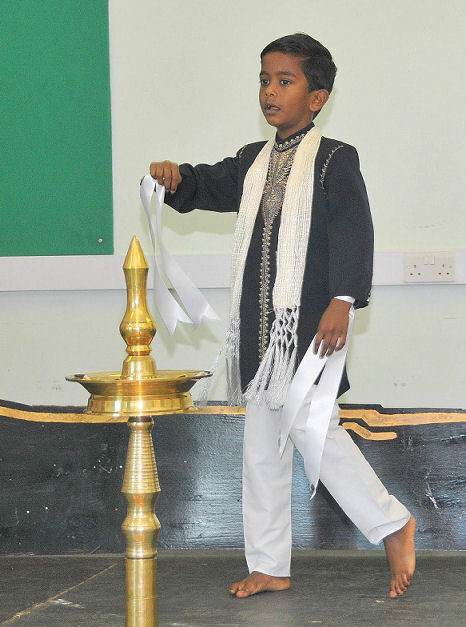 The members also performed songs, dances, skits, in front of their beloved king, Mahabali and the chief guests. 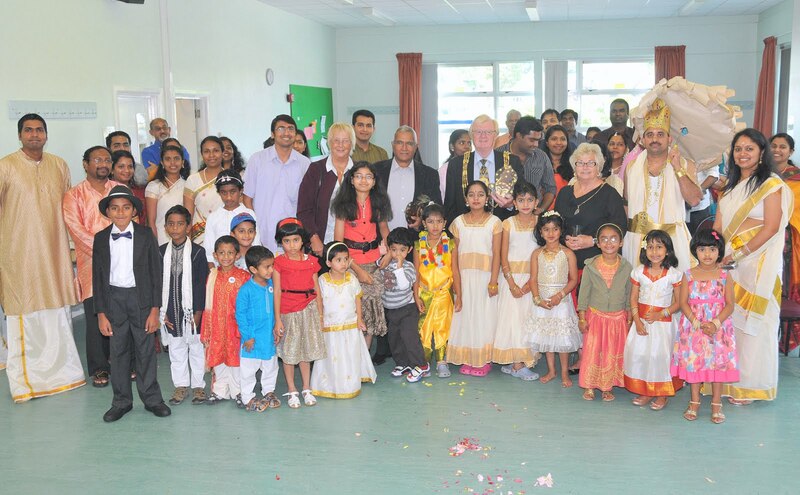 The Mayor wished everyone a Happy Onam and took the opportunity to present a small momento to all the kids who attended the Onam celebrations. 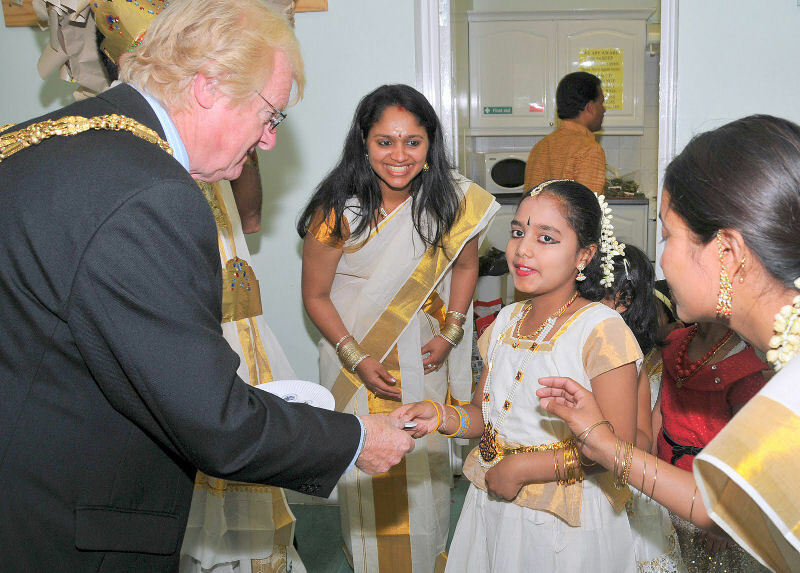 After the event, an elaborate traditional vegetarian banquet lunch (Ona Sadya) was served to all the guests. 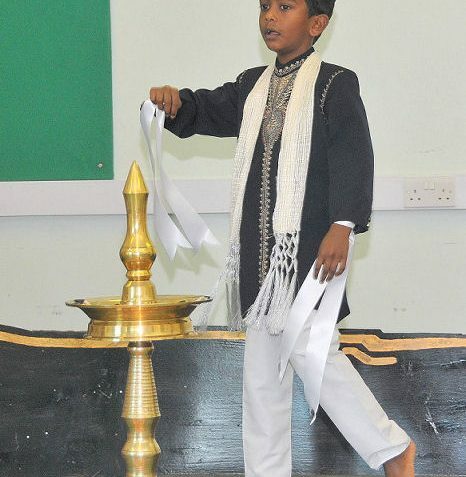 Dance performance by Pranav Anil Sreedharan. 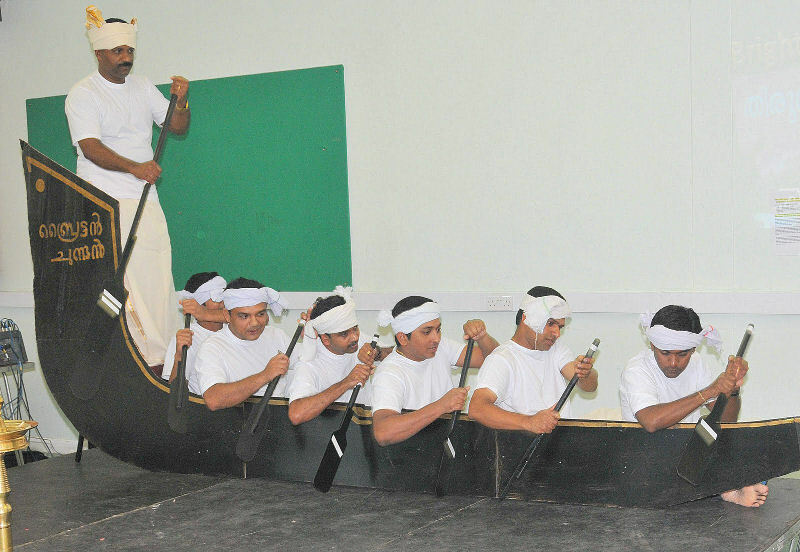 Thanks a lot for sharing this news here. 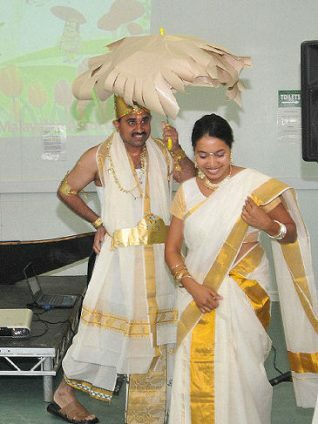 Nice costumes and dance . 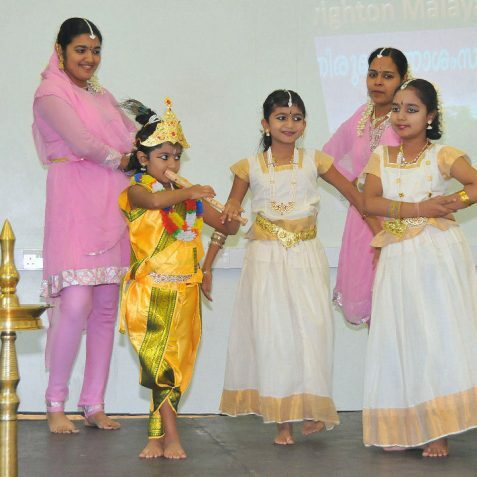 Really surprised to know that a Malayalee community in Brighton. 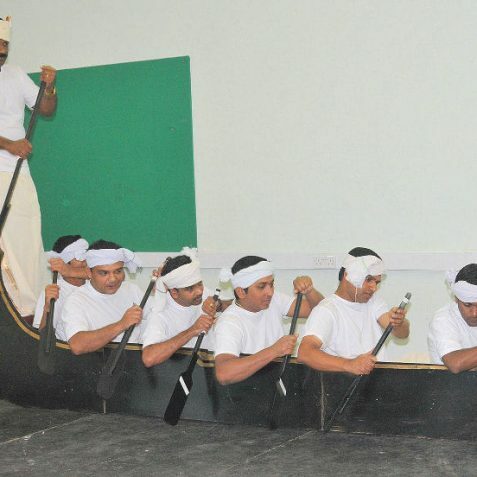 Waiting to join them.